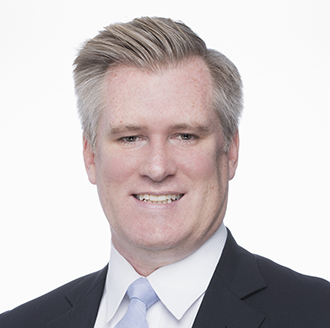 Ross Boughton is the Office Managing Partner for FordHarrison's San Francisco office. He concentrates his practice on providing advice and representation with respect to California and federal employment laws. Ross has spent his entire career as an employment law practitioner, defending and advising employers on a broad range of employment law issues. Ross is a seasoned litigator and defends clients in a broad range of employment actions, including wage and hour class actions and single and multi-Plaintiff actions alleging discrimination, harassment, wrongful termination, breach of contract, failure to accommodate, failure to provide protected leave, and failure to pay stock options. Ross handles all levels of litigation and leads teams at both the trial court and appellate level, often in disputes with novel or emerging areas of law. He works closely with clients in a variety of industries, but has significant experience representing clients in the technology, security, medical, retail, and janitorial industries. While a dedicated litigator, Ross strives to help his clients reach the best result in all matters, which often includes avoiding litigation if possible. To this end, Ross provides preventive advice to clients, including counseling them through employment decisions, drafting and revising personnel policies, and navigating complex compliance issues. In addition to litigating civil actions in the courtroom, Ross regularly represents employers before state and federal agencies including the Workers' Compensation Appeals Board, Employment Development Department, Division of Labor Standards Enforcement, Department of Fair Employment and Housing, and Equal Employment Opportunity Commission. In 2019, Ross was nominated by FordHarrison to serve as the firm's Quality Partner for the global HR law firm alliance, Ius Laboris, of which FordHarrison is the sole U.S. member firm. As Quality Partner, Ross is responsible for annual assessment and ongoing monitoring of both the firm's and the alliance's quality of service, as well as for liaising with Quality Partners from other Ius Laboris member firms. Ross also serves as editor and is a contributor for On the Clock, FordHarrison's blog covering wage and hour developments across the United States. Successfully argued appeal upholding motion for summary judgment in a retail class-action on novel issue regarding California’s wage statement requirements. Successfully argued appeal upholding jury verdict in favor of employer in sexual harassment and retaliation case. Defeated class certification in meal period case with over 100,000 putative class members in the temporary services industry. Obtained summary judgment in numerous single-Plaintiff actions, including, among others, a harassment action against a national restaurant chain, a disability discrimination action against a furniture chain, and a protected leave case for a national bank. Obtained dismissal of class claims for meal and rest period violations and failure to pay vacation wages against grocery chain. Second-chaired successful arbitration of an age discrimination and retaliation against defense contractor. Obtained dismissal with prejudice of individual board members in wrongful termination and fraud action at demurrer stage. Obtained dismissal with prejudice in breach of contract action against hospital utilizing California’s anti-SLAPP statute. "Northern California Super Lawyers," Super Lawyers magazine (2018). "Northern California Rising Stars," Super Lawyers magazine (2013-2016). "Southern California Rising Stars," Super Lawyers magazine (2009-2011).